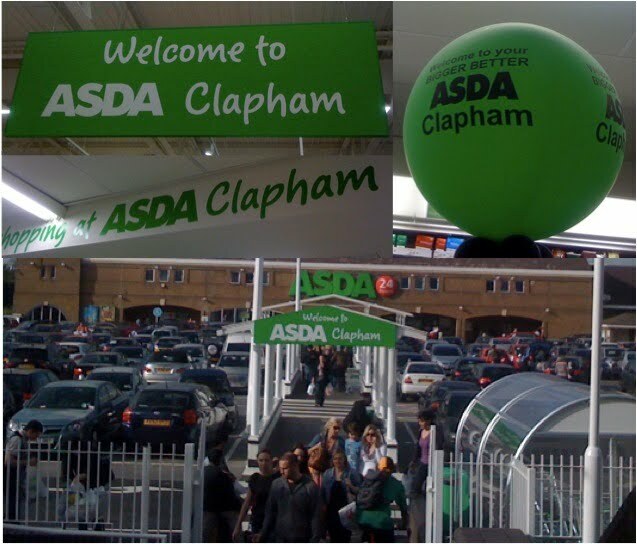 Almost 2 years to the day that ASDA triumphantly announced that it had re-branded its Lavender Hill store as being in Battersea, finally ditching the incorrect "Clapham" label, the company has caused great offence in Battersea by completely ignoring its original re-launch in November and December 2008 by relaunching its re-vamped store as "ASDA Clapham". Proud Battersea people have been deeply upset on entering the ASDA site by the array of new signs, even one within full view of Lavender Hill, Battersea's world famous road.....whoever hasn't heard of the 'Lavender Hill Mob' for goodness sake! 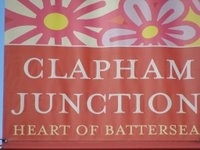 This has caused great dismay and a deep sense of hurt across Battersea. Reactions have varied from outright anger and a sense of complete betrayal at this apparent corporate indifference, to utter bemusement. So, how can an American behemoth like Walmart, have a subsidiary in the UK called ASDA, who rights the wrong it has made to Battersea over many years by a re-launch SW11tch Back to Battersea with great publicity in 2008, causing huge delight, then cause grave offence by a complete volte-face two years later, without the local management even seemingly being aware or remembering the way in which it delighted Battersea only 2 years earlier. Why would any corporation give an impression of insensitivity about the community within which it is located, and that community's proud history? a lack of interest in the place the store is located, its people and the proud history of its community. an absence of basic geographic knowledge. 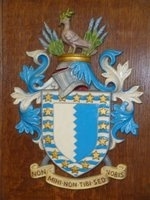 a deliberate effort to upset the local populace. the arrival of new management who have no knowledge of what has gone before. a head office far far away without a corporate memory of even its own press releases. policies imposed by distant management who couldn't care anything for where a store is other than its profit. following the maps on Google that place Clapham in the Heart of Battersea, rather than the UK's own excellent AtoZ map company or Ordnance Survey. We believe that this must be a very great mistake that ASDA is hugely embarrassed by and must surely be very very keen to rectify. If Walmart's or ASDA's CEOs knew of this they would surely act immediately to stand up for Battersea - we have faith that this is true! Two years ago, Battersea thought it had discovered a huge global corporation who really cared and could make changes. That entity seems no longer to exist. Two years ago, ASDA had a manager named Andrew Holmes who showed all who knew him in Battersea that "he got it" and understood the hurt of many years caused by ASDA's wrong branding of its store which it claimed was in 'Clapham'. BRING BACK ANDREW HOLMES OR FAILING THAT GIVE BATTERSEA LOCAL AND UK LEADERSHIP FOR ASDA THAT IS PREPARED TO SHOW THAT IT REALLY CARES ABOUT BATTERSEA AND RESPECTS ITS HISTORY AND GEOGRAPHY! Moves are afoot to take coordinated action uniting a broad front of Battersea, London and national interests and people to ask ASDA to think again and turn itself back proudly once more to Battersea - once and for all without any further slap in the face to this wonderful place called Battersea. We ask ASDA to please please Love Battersea !! !